Recently I went on a busy, bank holiday trip to the Tate Modern with the missus to see for myself just what a great white shark looks like close up. That bright idea was soon extinguished as it became apparent we would have to pay £15.50(each!) for the pleasure. I wasn’t that keen. I will now have to see a great white in it’s natural environment, when I next visit Australia and persuade one of the cranky old fishermen to use me as bait so I can get a better look. In 1948 Nolan traveled to the remotest parts of Australia. He was profoundly affected by the vast scale, desolation and silence of the desert – the second largest in the world. 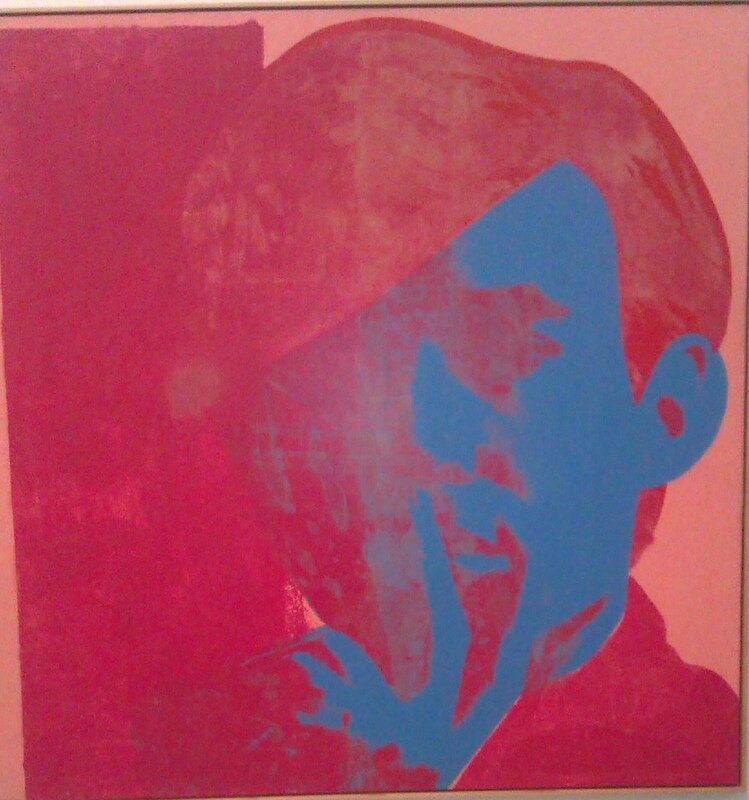 My favorite piece and one of the most striking I saw there. 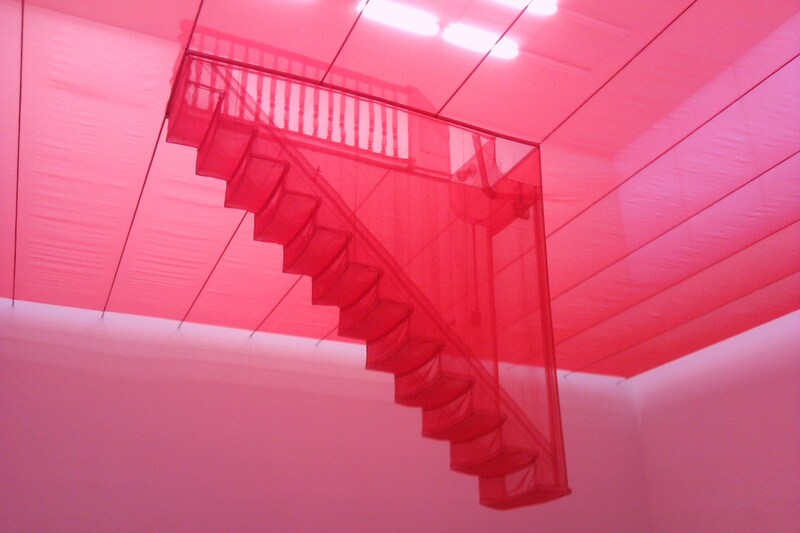 It comes down from a bed of red polyester covering the ceiling, lit up by lights it casts a pink glow over the whole room. It seems to be an inverted section of a staircase and balcony,including a lightswitch. Probably about death or summat. Made from large shiny tiles, another imposing piece. I liked the spiders. The most visual artwork I saw was this bright neon, message dispenser. 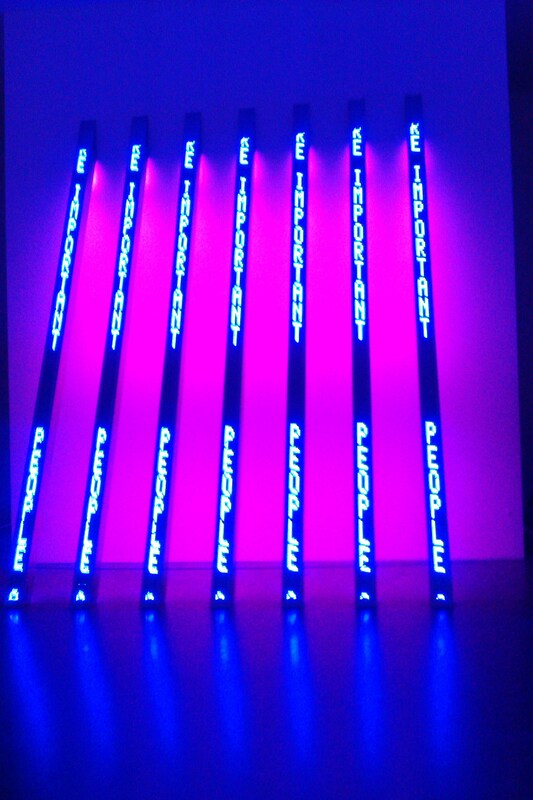 Various platitudes and phrases scroll down in bright white light on a neon pink and blue backdrop. It made me have a vision of a dark, technological future; where people gather around their neon God and study the words and messages that it delivers. Probably written by a cyborg Mark Zuckerberg. The last image I found interesting was not in the gallery, it was in the gift shop. 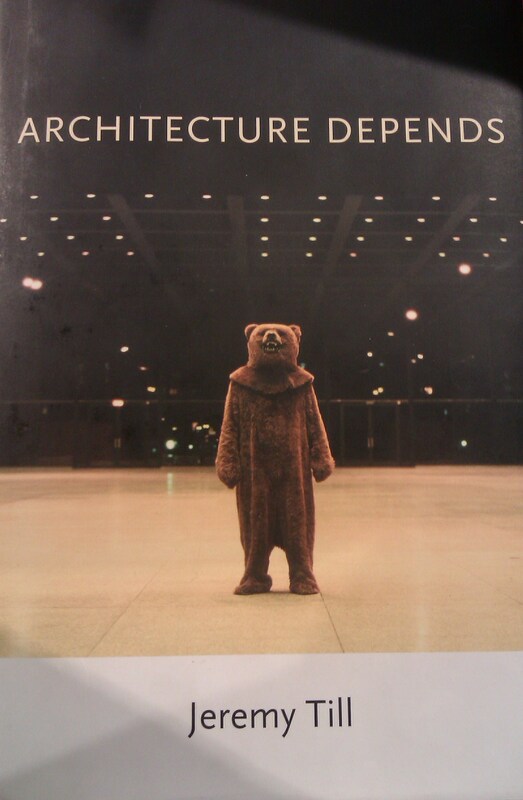 This book had a scary bear on the front, standing in a brightly lit building. Slightly Donnie Darko-esque eh? Chilling. 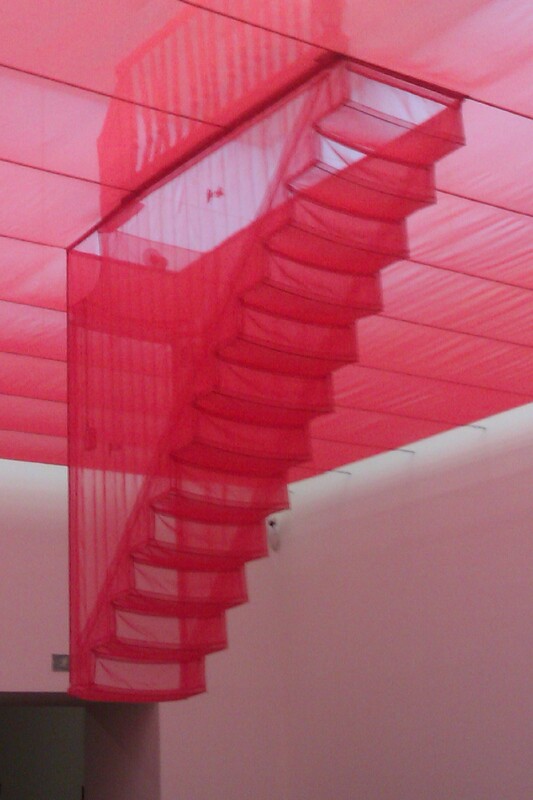 Yeh I was in the Tate mdern a month or so ago and took some photos of the Red staircase—also my favourite piece….I don’t kow why…it’s just clever and funny and makes you look up….! I really wanted to clamber up the stairs and see what was up there on the landing and beyond, Jack and the Beanstalk style. The attendant wasn’t keen on my idea.